We shared this photo by Jeni Reid here a few days ago. 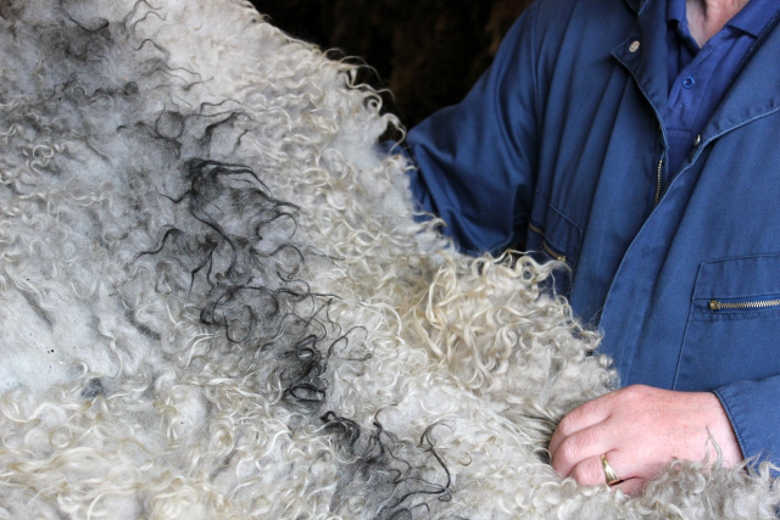 This beautiful coloured fleece was discarded with only the white ones from the clip being sent on to the Wool Marketing Board. Many of you commented that you would have found a use for the fleece and that this lovely wool really shouldn’t have gone to waste and WOVEMBER agrees! 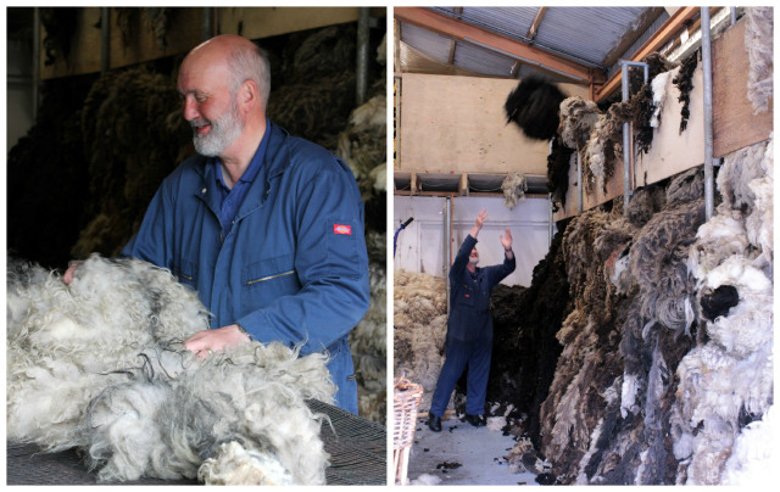 So why are coloured fleeces not always kept and what can be done about it? 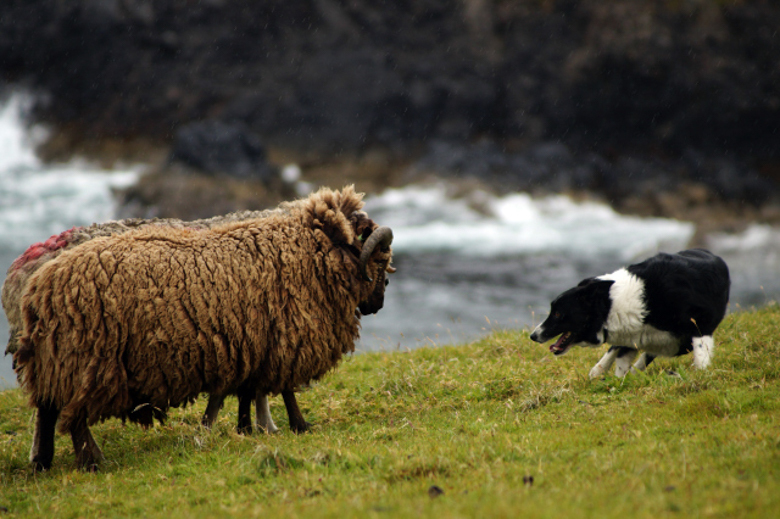 You may have heard the term “black sheep of the family”; According to Wikipedia the term is describes an odd or disreputable member of a group – especially within a family – and grew in popular use at the height of the industrial revolution in the 18th and 19th centuries. 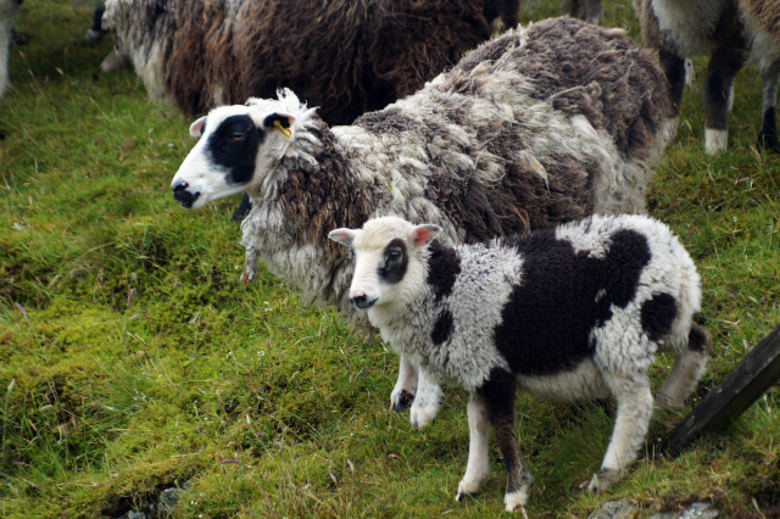 The gene which causes colour in a sheep is recessive and so the birth of a black sheep within an otherwise white flock can be something of a surprise – and in 18th and 19th century Britain, not necessarily a good one. When wool mills demanded soft, white, uniform fleeces that could be easily dyed and which would not colour subsequent batches of mill throughput, black sheep meant wool that could not be sold: in some communities black sheep were even perceived as having been marked by the devil. Happily I don’t know any wool farmers who would still say this of their wondrous coloured animals, however industry does still seem to favour large batches of white, uniform, wool and ingenuity is still required to find ways of getting the best price for, and use from, coloured fleeces. 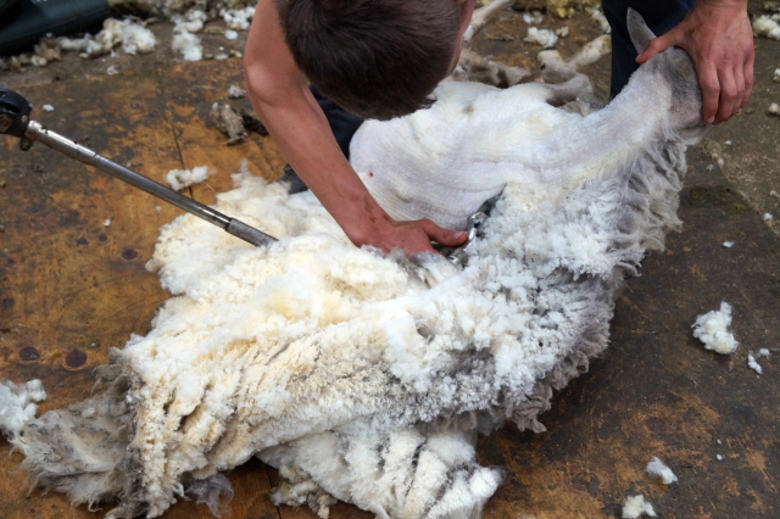 Yesterday, Kate Graham – pointed out that selling wool commercially does not work out well for her as the expense of having her sheep sheared is usually greater than the sum of money on the cheque from the Wool Marketing Board. 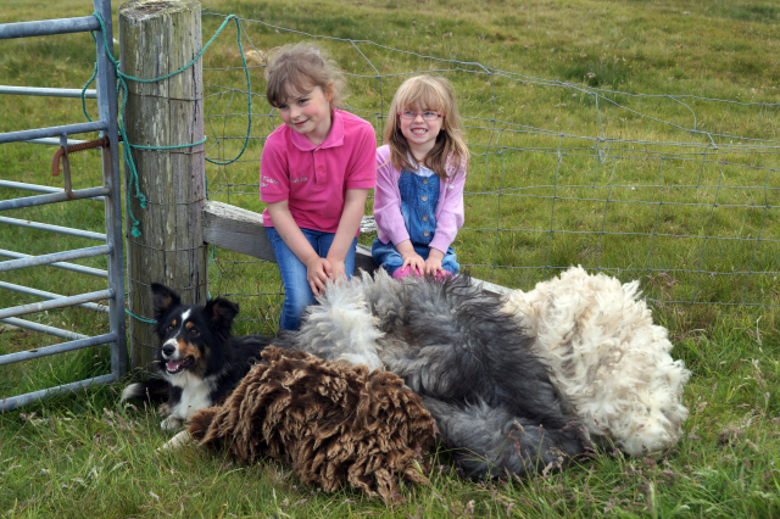 Her solution has involved finding a market among hand spinners and wool workers who appreciate the personality and character of wool from the different breeds she keeps with their rainbow of fleeces: Coloured Ryelands, Scottish Blackfaces, Herdwicks, Hebrideans, Shetlands, South Country Cheviots, Black Wensleydales and several crosses. 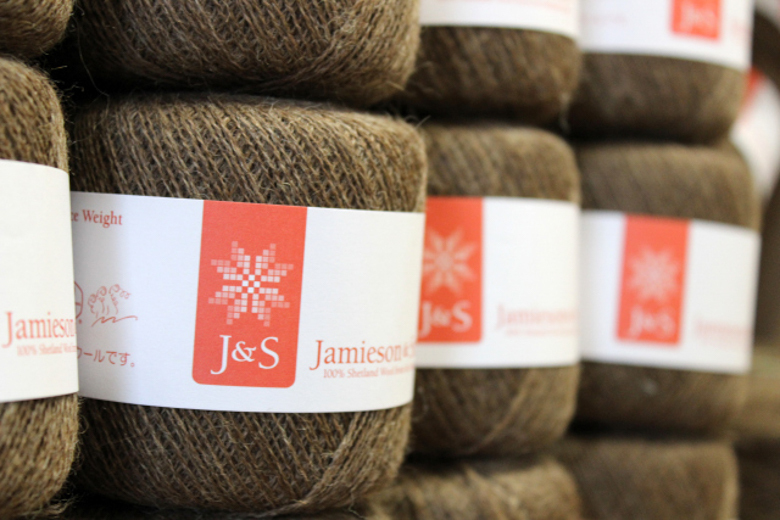 Coming from the other side of things, the Shetland Woolbrokers AKA Jamieson & Smith are working to develop new uses and appreciation for the wonderful different coloured fleeces grown in Shetland. 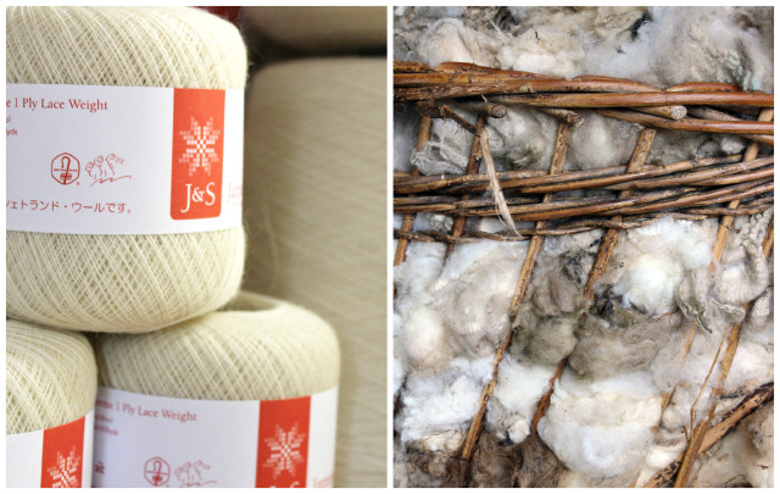 This post was originally published on the Jamieson and Smith blog here and we love it because it shows a fantastic joined-up approach to working with coloured fleeces, starting on the croft and ending up as wondrous hand-knits. 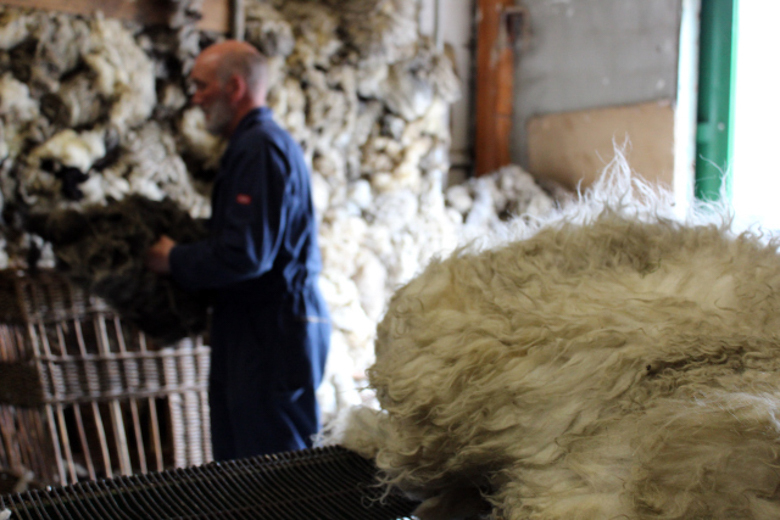 The Wool season is now in full swing at Jamieson & Smith, a recent spell of fine weather has meant that wool producers have had a dry early start for clipping. 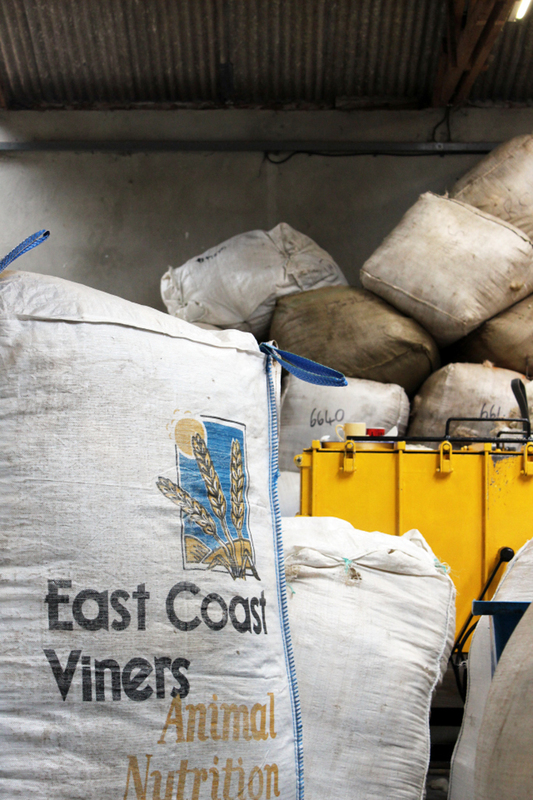 As the wool store fills up, grading the clips is under way and our first shipment left us last week on its way down to our parent company Curtis Wool direct, to be processed and spun into our yarns. 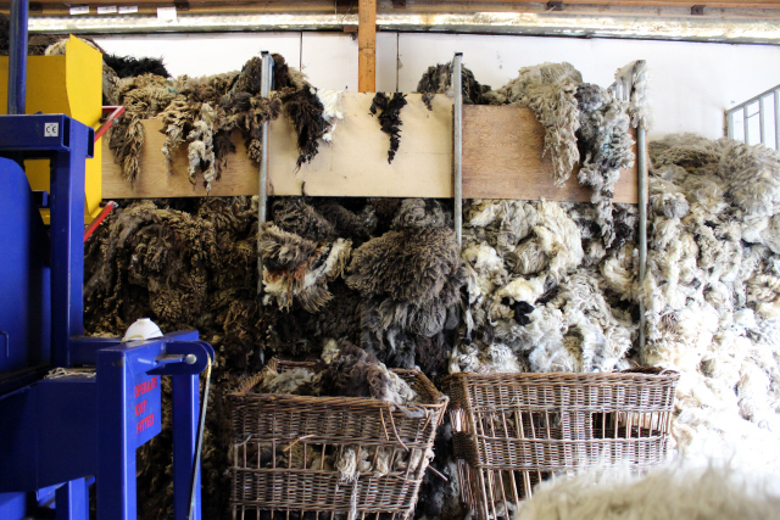 While Derek and Jan who work full time in the woolstore and Robert, who has joined us for the summer season, get to work on the white fleeces Oliver has been in what we call the Middle Store sorting some of the coloured fleeces. 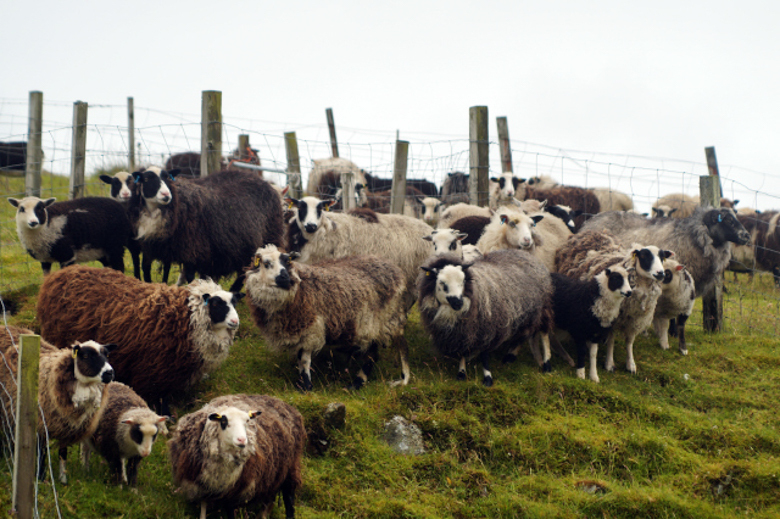 Since Oliver has been to see some of the coloured sheep on their home turf recently we thought you might like to see some of his photos and hear a bit more about the coloured Shetland Sheep. 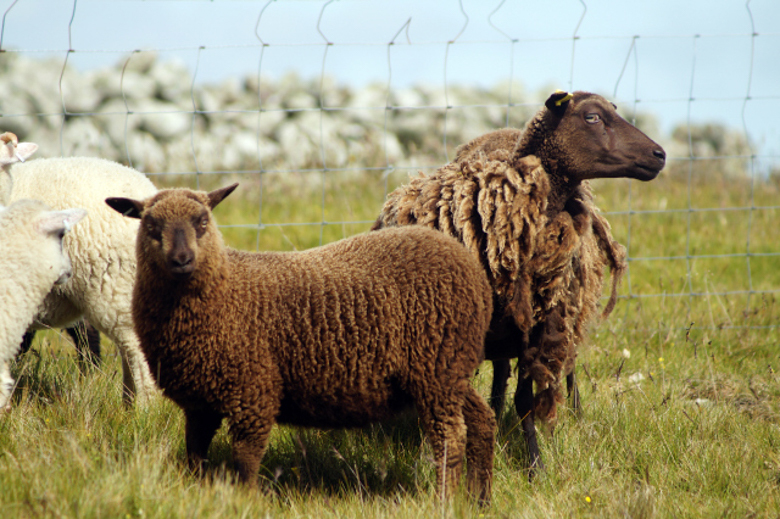 Shetland Sheep can have a huge variety of colours and markings, in the past the natural colours were used for all types of knitting and for blending in Fair Isle. When man made fibres became widely available and the market for wool declined coloured sheep became a lot less desirable and crofters began to move solely into the white fleeced sheep which they knew the fleeces would be sold. At one point people were just throwing away the coloured fleeces as it wasn’t worth taking them to be sold. 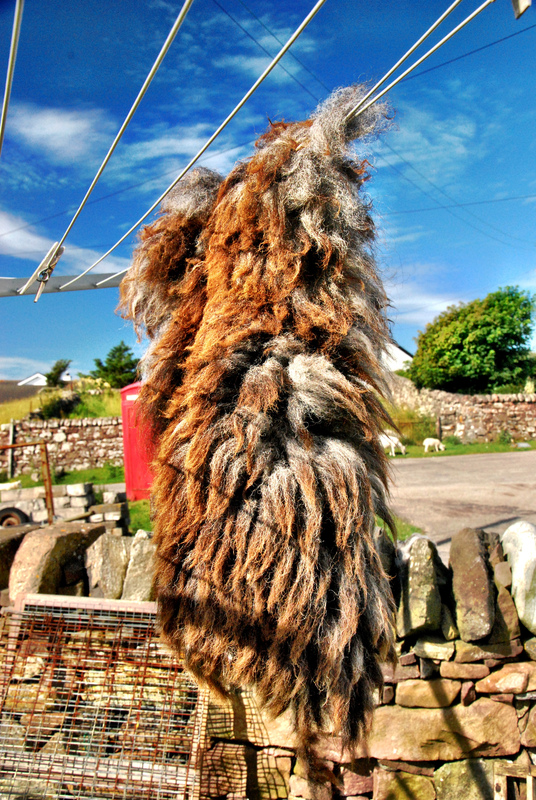 Thankfully now there is a good market for the coloured sheep, and some Shetlanders are actively trying to revive the strength of the different shades. There are 11 main Shades with over 30 different markings currently recognised. 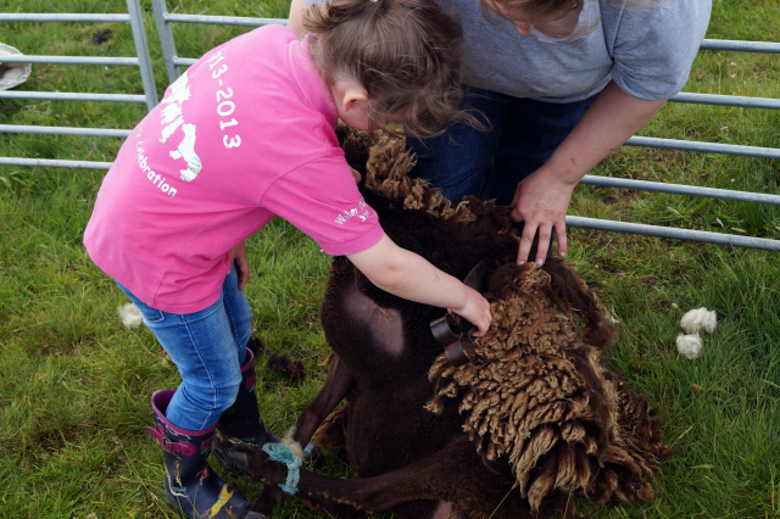 Oliver went to see Jan and her family doing some of their clipping last week, and Jan’s niece’s were showing their clipping skills. Once the coloured ‘oo has been dropped off to us it is then hand graded and hand sorted into its various shades and qualities. 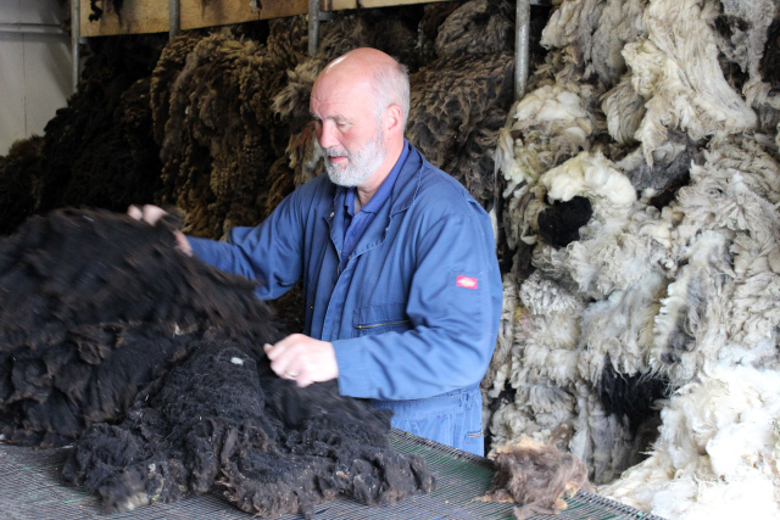 As the quality of different shades can vary within the fleece, (Shetland black can be coarser than other shades, and dark grey is very coarse) each fleece is handled and dissected by Oliver and separated into grades. 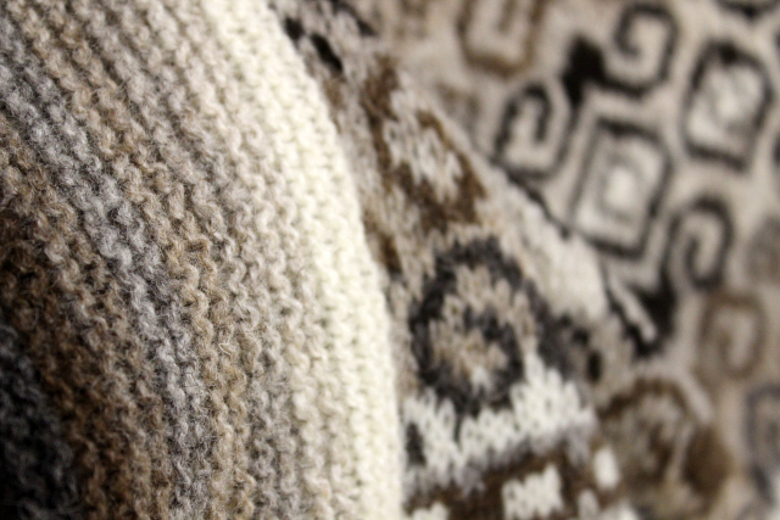 Thanks to Kate Davies designs like the Rams and Yowes blanket, Sheepheid and Sheep Carousel – which all use the 2ply Supreme Jumper Weight – the popularity for the natural colours is still going strong. And all the Shetland Supreme Lace weight available in 5 shades as well as the Combed Tops and finished products like the Woven Blankets and Cushions and Jumpers. So we need as much as we can get! 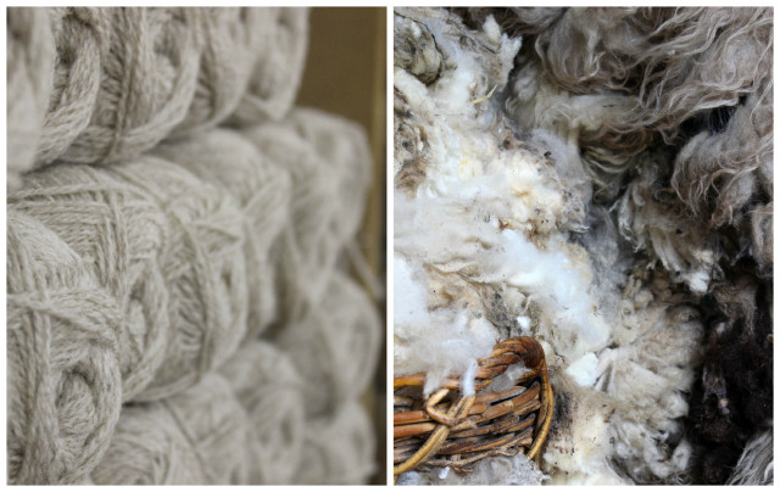 Having a wide range of products made from the natural colours ensures there is a steady demand for this type of wool, meaning we can secure the future of the coloured wool. All content © Jamieson & Smith and republished here with kind permission.